I’ve just returned from a vacation. So, after a week of R&R, I’m going to write a post instead of cross posting one. And I thought that getting back to reader questions after a hiatus might make for a good “welcome back” post. I mercifully do not struggle with writer’s block. As someone who gets paid to produce content for a number of outfits, writer’s block would present a deal-breaking problem. I do, however, struggle with answering some reader questions at times. Recently, it occurred to me why this might be the case. Simply put, not all reader questions necessarily require a 1,000+ word post to answer. Thus, I don’t struggle with writer’s block, but rather with “how do I expand this into a proper post?” As I sunned myself in tropical climes this past week, it struck me. Maybe I don’t. As such, I’m introducing something that I’ll call “reader question round-up.” In this new style of post, I’ll answer a series of questions — ones that I think I need fewer words than a full post to answer. Hopefully, this keeps me from rambling and starts to clear out my rather sizable queue of backlogged reader questions. I’m going to go with “yes” on this one, off the cuff. To understand why I say this, bear in mind that I’m picturing computer science specifically as I studied it in undergrad and grad school. In the industry, we frequently knock CS programs for not serving as trade schools that prepare young programmers for the realities of corporate programming. But then, I guess the flip side of that coin is that we can more easily count what they actually do as theoretical science. In order to define science, the “science council” seems like a good source. You can read their definition here. They talk about making observations, running experiments, gathering evidence, testing, analyzing, and repeating. “Real world” programming wouldn’t qualify at all, since building stuff takes center stage. But in the academic world? Absolutely. Computer science profs and grad students go out in search of better algorithms, approaches, techniques, etc. They then form hypotheses, contrive of experiments, and run tests. So I think it’s entirely fair to count CS as an actual science. What do you think of ECM Cycle Theory? Someone asked me this a long time ago. And, I must admit that I had absolutely no idea what this meant. A google search on the subject yields little. But we do gain some insight from Wikipedia. The Economic Confidence Model is an economic cycle theory by Martin A. Armstrong. Armstrong proposes that economic waves occur every 8.6 years, or 3141 days, which approximately Pi X 1000. Well, if we go back 8.6 years, we find ourselves in September of 2008. If you recall, that particular period in time introduced “too big to fail” into the common vernacular as the government began intervening to stop investment banks and auto-makers from going under during massive financial collapse. Some kept the lights on, while others, like Lehman brothers, winked out of existence. So, prima facie, it’s sort of hard for me to buy this line of reasoning, barring a massive economic collapse in the next week or two. And, generally speaking, I don’t spend a lot of time on concepts like numerology, Bible codes, and the like. And, by not a lot, I mean “none.” But, YMMV — that’s just my personal outlook. Do artists use the scientific method? 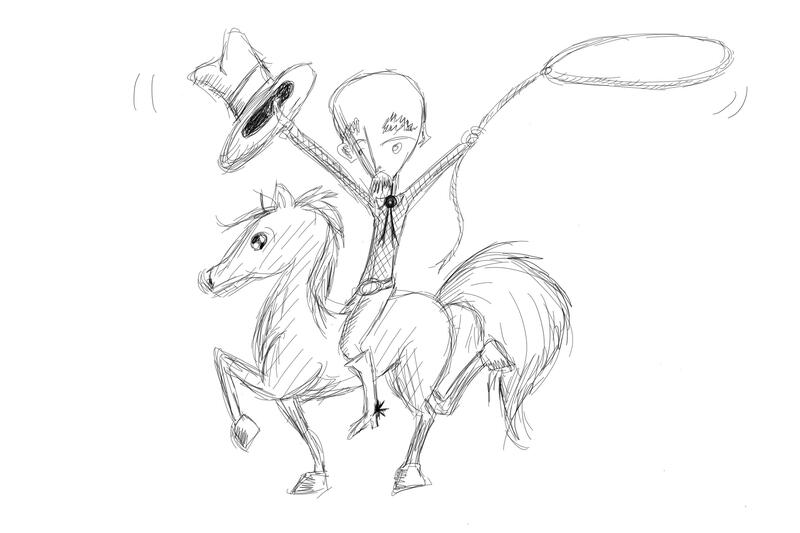 For some context, this arose in response to a post I made a while ago. And I’ll also include the full text of the question. I would rather ask if there is any real artist that works on their craft without using some semblance of the scientific method. For both science and art you learn and try and err and succeed and based on those results you go on. I am tired of people calling aesthetics the only difference between science and art. It’s like saying science is what art is, but you work harder and it’s not pretty. I can answer the question posed in the heading fairly easily. Do artists use the scientific method? In my opinion, no. As the simplest proof by counter-example, artists do not form hypotheses to explain physical/observable phenomena. The question blurs a bit here with the introduction of the phrase “some semblance of the scientific method.” What does that actually mean? Any part of it? In that case, everyone practices “some semblance of the scientific method” every day of their lives, since they observe the physical world in some capacity or another. I’d give a nod to nuance here by saying, “forget the scientific method.” Your point here seems to be that scientists and artists make use of feedback loops. And I completely agree. What do you think of (working with) open source? The person submitting this question presented a fair bit more text, but I can summarize it succinctly enough. The question submitter works as a salaried employee, but in that capacity (and outside of work as well) contributes to open source and collaborates with others. What do I think of this? I cannot overstate how strongly I encourage this. 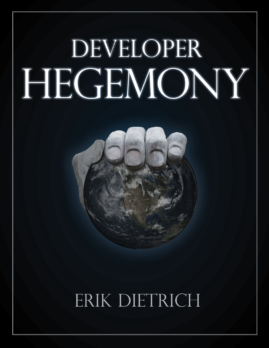 In my book, Developer Hegemony, I talk a good bit about building leverage for your career. I might have an easier time describing this with two examples. First, consider someone that works for 10 years for some top-secret defense contractor. Second, consider someone that works for a developer tools company for that same time. When each goes to look for the next gig, the second person has a big leg up, since the first person’s work and contributions are entirely opaque outside of that defense contractor. In general, your career benefits from more eyeballs on your work and more people with whom you collaborate. Contributing to open source in your spare time helps you with both. Contributing to open source at work means you get paid to help yourself to both. I see no downside whatsoever. As I’ve mentioned in various media, I’m engaging in something of a career transition. Specifically, I’m going to wind down my consulting work in the coming months in favor of a few new lines of business. All of these will focus on content creation to some degree. So, as my life becomes one of content creation, look for more, well, content. And, as part of that, I’d love to pick the reader questions back up in earnest. During the next month, I will transition and find myself pretty busy. But after that, the content cadence should kick off. Long story short, please feel free to submit questions. I’ll answer them with more regularity. Any and all topics welcome!